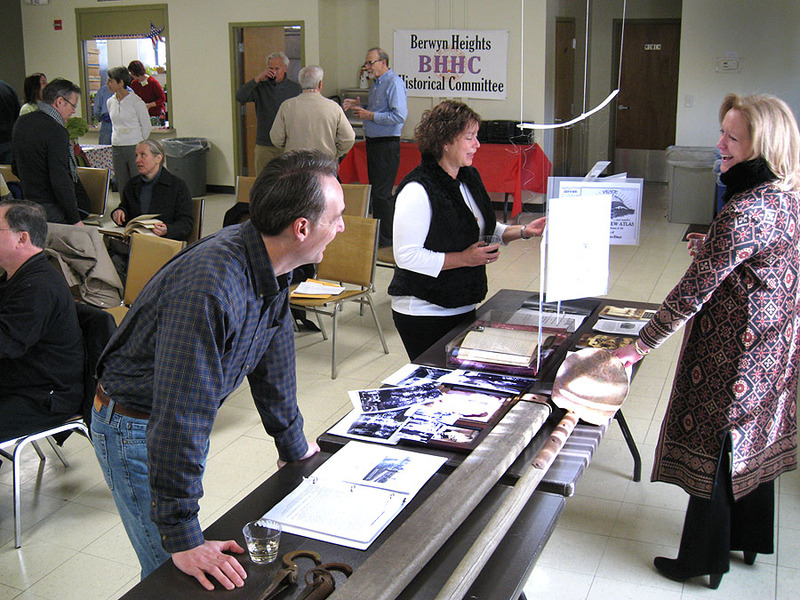 With luck, the Historical Committee celebrated another successful Berwyn Heights Day. The tents of vendors and community groups were set up on Berwyn Road bridge because Sports Park field was too muddy after a week of steady rains. Fortunately, the rain had stopped and the sun was out between patches of clouds. 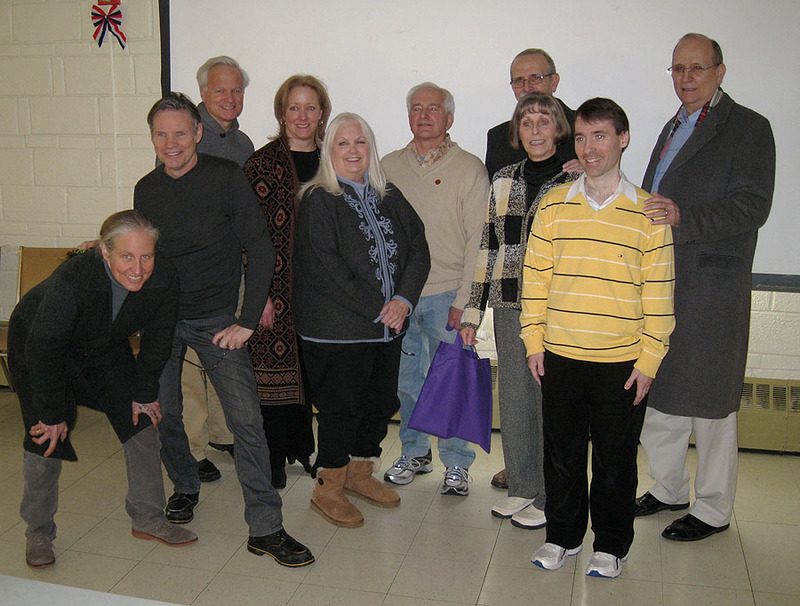 Last year the BHHC celebrated the 100th anniversary of the Berwyn Heights Association. This year we dedicated the street marker and published a brochure that highlights the important accomplishments of the Association between 1915 and 1924. Descendants of Fred H. Benson, the first President of the Association, honored the dedication ceremony with their presence. Steven Ring, his daughter Nicole, and brother Patrick had made the trip from Fairfax, Gaithersburg, and Annapolis to be here. Steve and Patrick are the sons of Doris Benson Ring, daughter of Howard Benson, son of Fred and Margaret Benson. Pole Climbers purchased by the Berwyn Heights Association in 1924. In our tent, we showcased the pole climbers (see puzzle in the April Bulletin) the Association used to repair the street lights. This and other Association equipment was donated to the BHHC museum by the Lofgren family, who found them in their shed. The Lofgrens bought the property that previously belonged to Elwood Taylor. Taylor served first as treasurer and then as president of the Berwyn Heights Association, and was in charge of planning a carnival the Association held each summer to raise money for essential community projects. The street marker will be posted in front of this home. On January 28, 1915, residents of Berwyn Heights gathered at the home of Fred H. Benson and established the Berwyn Heights Association. Fred Benson was elected President and would lead the Association for most of its existence. “The object of this association,” according to Article II of the Bylaws, was “to promote the interests of the residents of that sub-division of Prince George’s County, Maryland, known as Berwyn Heights and to form a body of representative citizens in this sub-division whose collective and combined influence and action will promote better conditions in the community.” To accomplish this, the Association sponsored a lineup of community events each year to raise the funds needed to maintain the roads, fix the school and clean up the Town. It also negotiated with State and County agencies to improve streetcar service, build a new school and, finally, to recharter the Town, which led to the establishment of the first functioning government in 1924. 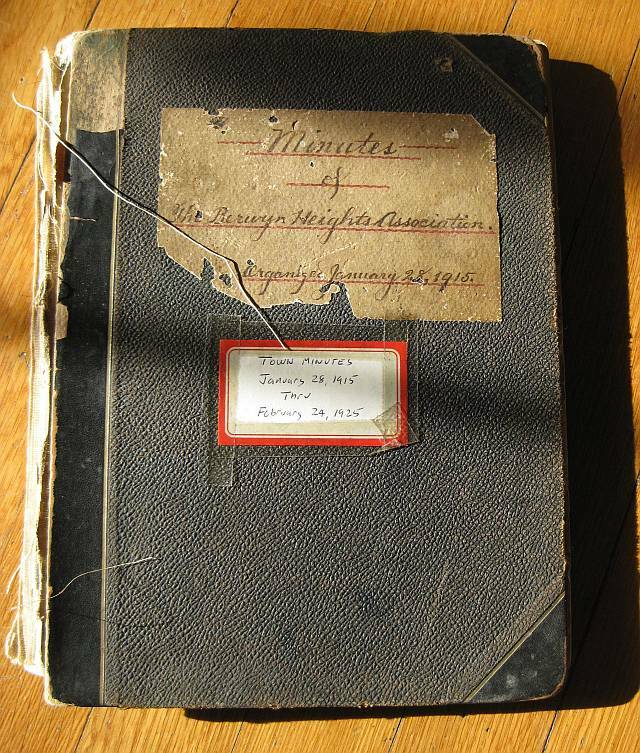 The meetings of the Berwyn Heights Association were recorded in a minute book, believed lost and then found, which will be on display during the BHHC’s February 15, 2015 Presidents’ Day reception. 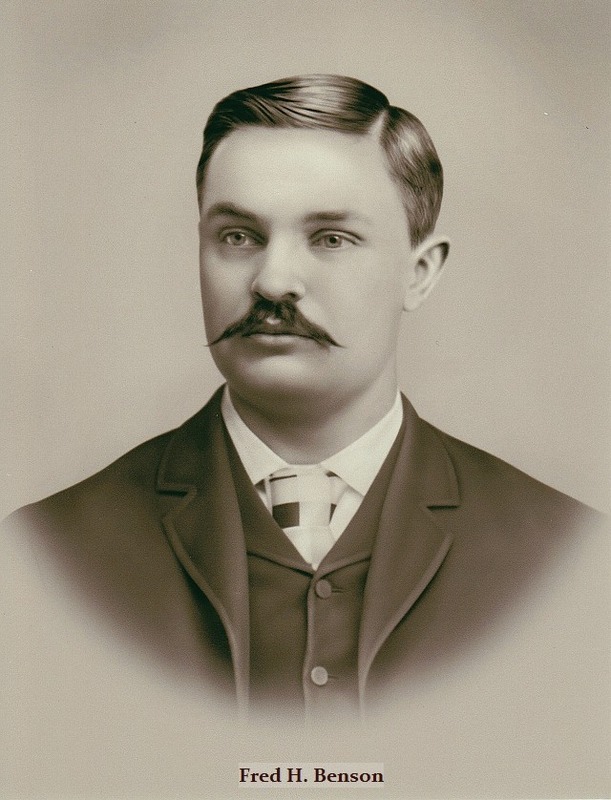 James Benson, a great grand son of Fred and Margaret “Maude” Benson, plans to be present and share his memories about visiting Berwyn Heights as a child. Join the BHHC to celebrate this 100th birthday of the Association and rediscover this chapter of our Town’s past.